I'm assuming their numbers for mpg and kWh/mi as well as the respective fuel prices are sound. 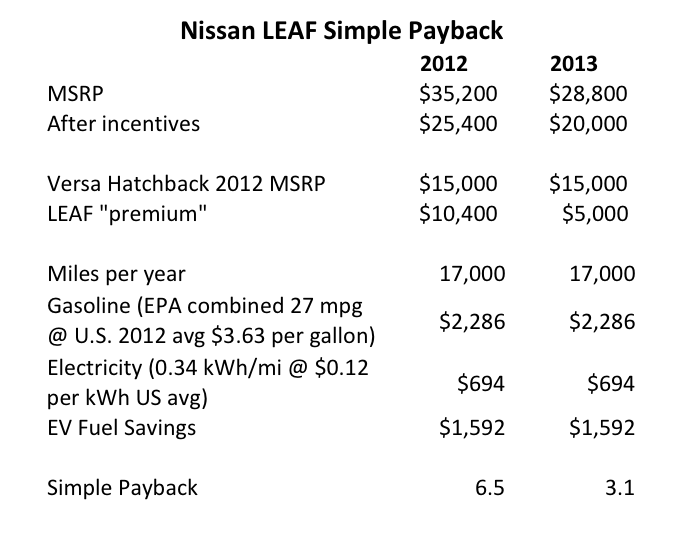 Then, an almost 75% cost saving on the fuel indicates a vastly superior fuel efficiency of the electric car. This seems very counterintuitive to me, as I would think producing the electricity, transporting and storing it and then using it to drive the wheels loses a lot of energy along the way, compared to going from thermal directly to kinetic energy. Now, if we used the same kind of fuel to drive the shaft at the power plant and the one in the car's motor, I guess the large motor at the power plant can be built more efficiently, but I have a hard time imagining that this outweighs all the losses of distributing the power plant's energy via wires and batteries. Conversely, if we took the electric car and replaced only its motor with the most efficient combustion engine we have, would that show the same superiority over conventional cars, meaning the electrical car's advantage is not the motor technology but that it's generally more efficient? Intuitively, I would think that distributing the fuel and generating the power in the car makes more thermodynamic sense. Note that I'm well aware of the fact that there might be other reasons for electric cars (less pollution locally, ability to use things like wind turbines as the energy source etc.). But just focussing on the fuel-to-motion analysis, aren't electric cars much less efficient? Since the comparison is a financial one, what might be reasons for the great price difference, if the electric really is less efficient thermodynamically? The short answer is that no, electric cars are most definitely not at a thermodynamic disadvantage compared to a combustion engine. Quite the reverse, they have the advantage. Electric cars are about 4x as efficient as fossil-fuelled combustion engines, tank-to-wheel: ICE engine efficiency is around 20%. 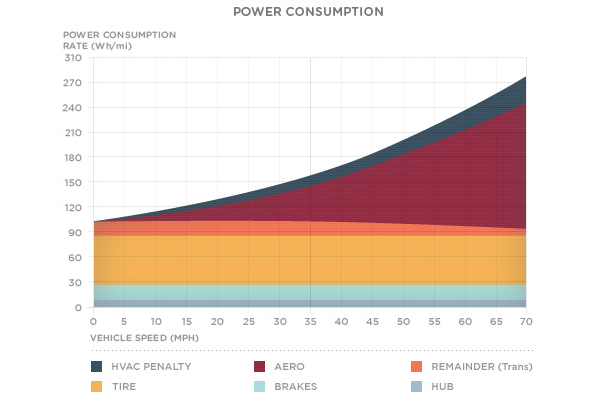 Electric engines tend to be around 80-90%. And the fuel prices in the article are tank prices, so tank-to-wheel is the right measure in this case. If you were interested in the whole-cycle energy efficiency (which is not what your linked claim refers to), then well-to-wheel would be the efficiency you were after, and then it would be very sensitive to how your electricity would be generated. For the nitty-gritty of the energy consumption of electric, fossil and hydrogen cars, see this paper from George Wallis of the Claverton Energy Group (pdf, 317kb). For more information on efficiencies power-station to wheel of electric vehicles, which you ask about, but which is not what the claim you've cited refers to, see the US Gov Fuel Economy site. And please do come over to the new Sustainability Stack Exchange where we take this sort of question too. In simplest terms, a gasoline engine takes chemical energy (the gasoline), converts it into heat by burning it, and then it converts that heat into mechanical energy. In general, every time you do a conversion between forms of energy, you're losing some of that energy to entropy. In particular, heat energy is a very disorganized form of energy, and it's very difficult to convert it directly to other forms of energy. You also can't consume all of the energy from heat by converting it to mechanical energy, and a lot of the heat gets wasted as a result. This is most obvious by a gasoline engine's need for a radiator - that's where the waste heat gets dumped into the air. Electrical energy, by contrast, is very organized. It's easy to convert electricity directly into mechanical energy with an electromagnet pushing against another electromagnet, and very little energy is wasted as heat in the process. There is only one energy conversion - from electricity to mechanical energy, instead of two like in a gasoline engine, and the process does not involve intentionally generating heat (which will need to be removed with a radiator) to be used in a second conversion to mechanical energy. As a result of these differences, electric motors are about 85-95% efficient at converting electrical energy into mechanical energy, while gas engines are only (at most) 35% efficient, and diesel engines are about 45% efficient, thermodynamically speaking. If you wanted to look at the rest of the energy supply chain, then obviously there are other factors at play, but even then the production of both electricity and gasoline is highly efficient, although with losses of their own. Anyone who wants to argue in favour of the ultimate efficiency of any fossil fuel though, would be instantly kicked to the curb by the efficiency of directly converting the sun's rays into electricity with solar panels at nearly any efficiency, rather than taking the route of converting the sun's rays into plant matter, letting most of it rot and release its energy back into the soil, adding a few hundred million years to the remaining 1%, and carefully storing it underground for the duration. The ultimate efficiency of fossil fuel production is gob-smackingly terrible and time consuming. Not the answer you're looking for? Browse other questions tagged road-vehicles environment .